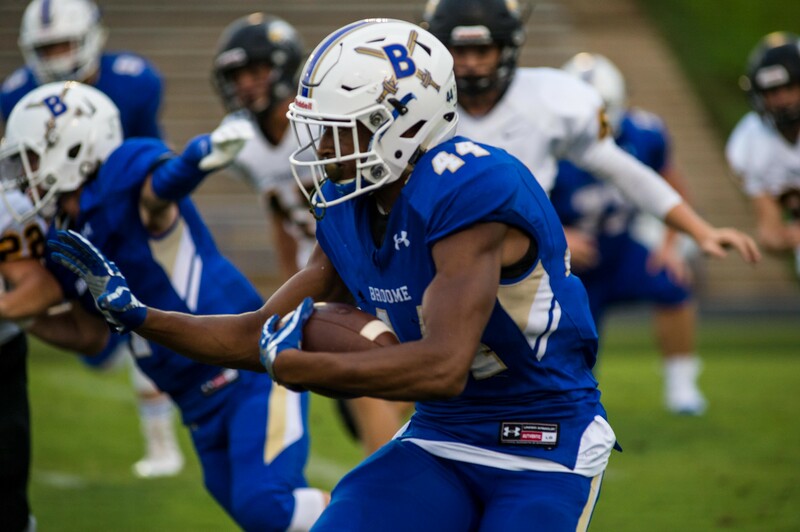 Congratulations to Fox Sports 1400 High School Player of the Week, Broome RB D’Marco Jackson. He had 28 carries for 173 yards and 1 TD, a blocked FG, and 16 tackles including 4 behind the line of scrimmage in the 34-28 win over the Byrnes Rebels. Jackson also suffered a rib injury but returned to the game to help lead Broome to the win. Broome is now 4-1 and has a bye week coming up before region play begins.